The trail leading to Island Lake covers about 4.5 miles each way. In summer, amazing displays of wildflowers often line the path. 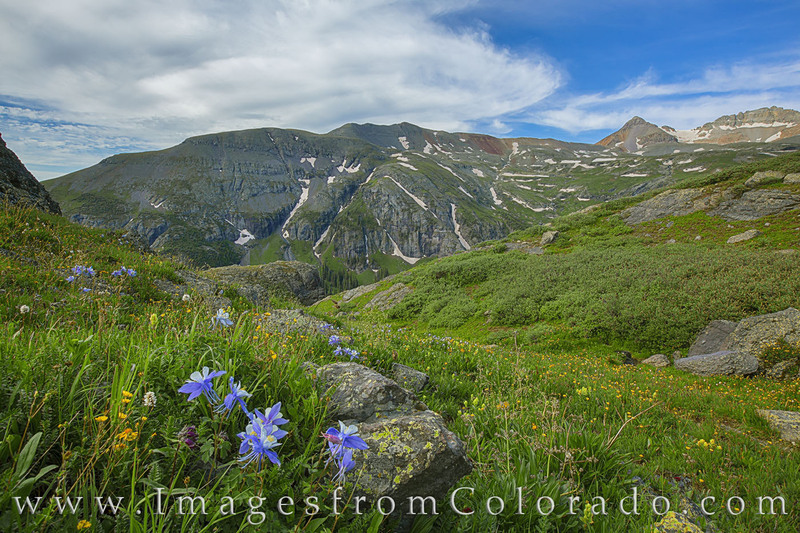 Here, a small cluster of columbine add their blue shades to the vibrant green and gold mountainside. Photo © copyright by Rob Greebon.